The oil and gas industry has a regulatory obligation to reclaim sites disturbed by activities related to resource development. 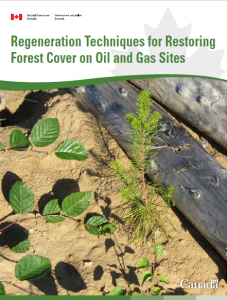 In the in-situ oil sands area of northern Alberta, there is also a desire to improve forest re-establishment on both current disturbances as well as legacy sites. 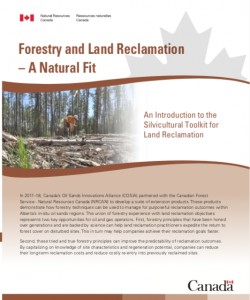 The Silviculture Toolkit Project includes Knowledge Extension tools based on silvicultural knowledge and techniques currently used by the forest industry. 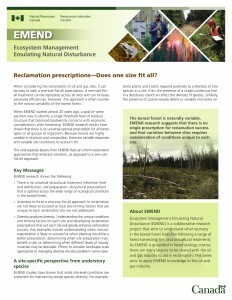 The aim is to provide information and instruction to improve return to forest cover on areas disturbed by oil sands exploration activities and operations. This project focuses on in-situ sites as well as seismic lines and other linear disturbances. However, a lot of the information presented can be applied to other disturbed areas in the boreal forest as well, including mineral mining sites, and forest roads. 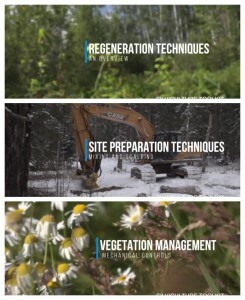 The first set of products include seven factsheets that look at site preparation and regeneration techniques. 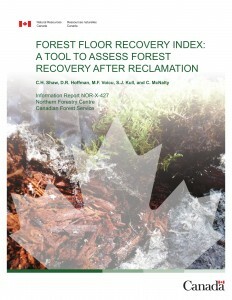 Factsheets discussing site assessment and vegetation management techniques, in-depth guidebooks as well as videos will be added to this site shortly.